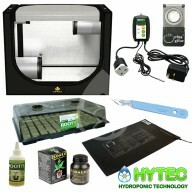 CR60 PROFESSIONAL PROPAGATION KIT HEATED This propagation kit comes with everything needed to successfully propagate cuttings or seeds the kit comes with the following. 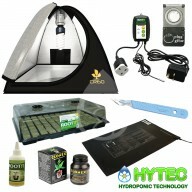 Secret jardin CR60 propagation tent Root it propagator 77 tray 1.5" cubes Root it heat mat..
DP90 PROFESSIONAL PROPAGATION KIT HEATED This propagation kit comes with everything needed to successfully propagate cuttings or seeds the kit comes with the following. 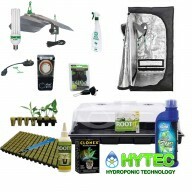 Secret jardin DP90 propagation tent Root it propagator 77 tray 1.5" cubes Root it heat mat..